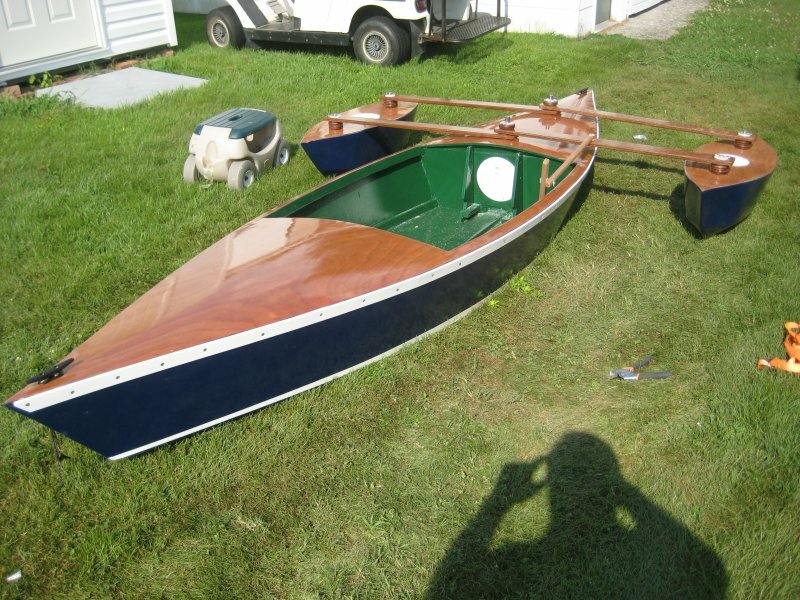 I built this kayak for my grandson, who loves to fish. 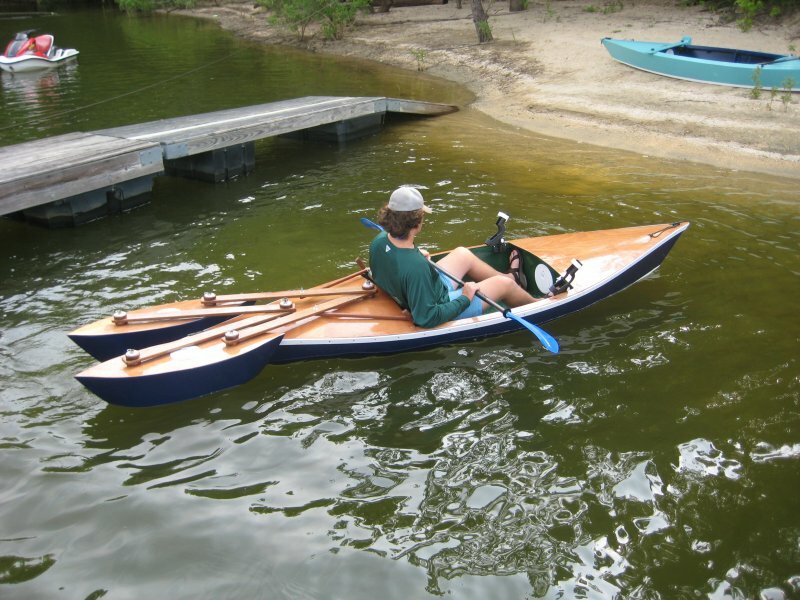 So I built a fishing kayak, with retractable outriggers. 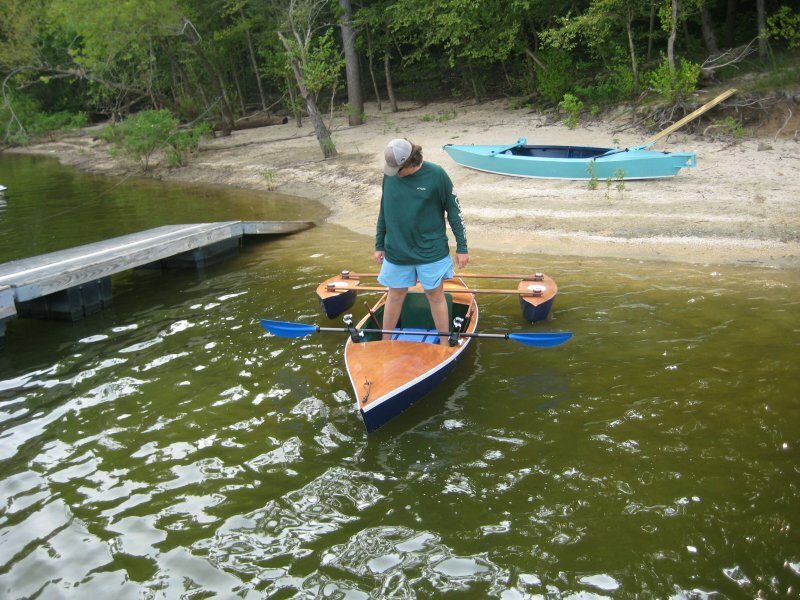 The outriggers are stitch and glue, the kayak is plywood on frame. The frame is clear Douglas fir, the sides and bottom are 6 mm Okoume marine plywood, and the decks are 3 mm Okoume marine plywood. The outrigger cross-arms are attached with 7/8″ stainless steel pipe and pinned with stainless steel pins.